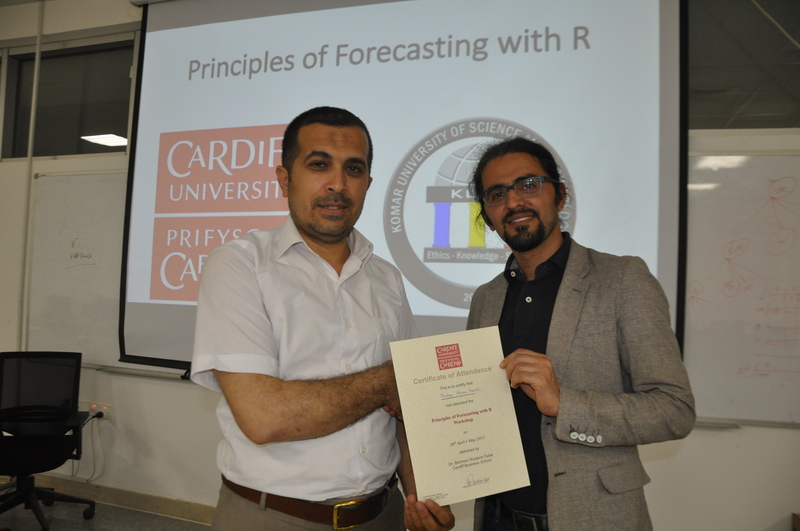 Komar Research Center at Komar University of Science and Technology and Cardiff Business School of Cardiff University has held a joint workshop on forecasting with R under the slogan “Toward Sustainability: Democratize Forecasting for Decision Making” under the supervision of instructor Assistant Professor Dr. Bahman Rostami-Tabar, in the Computer Labs of Business Building at Komar University from April 29th to May 1st, 2017. 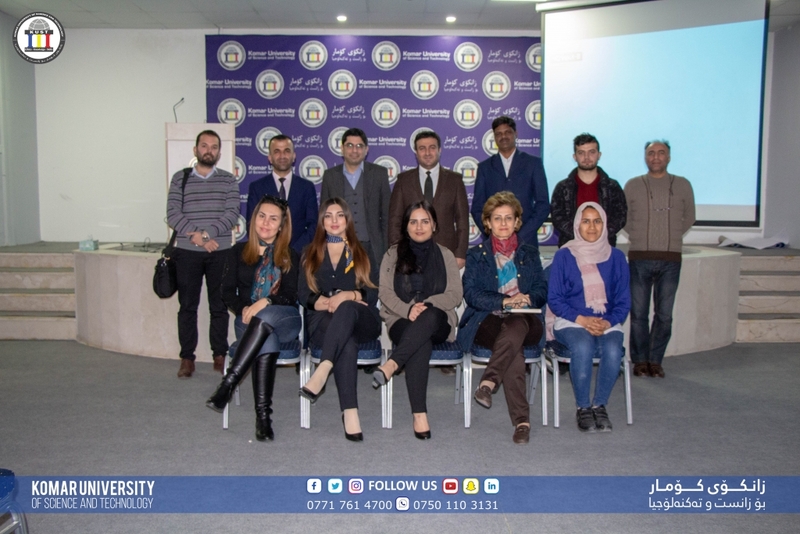 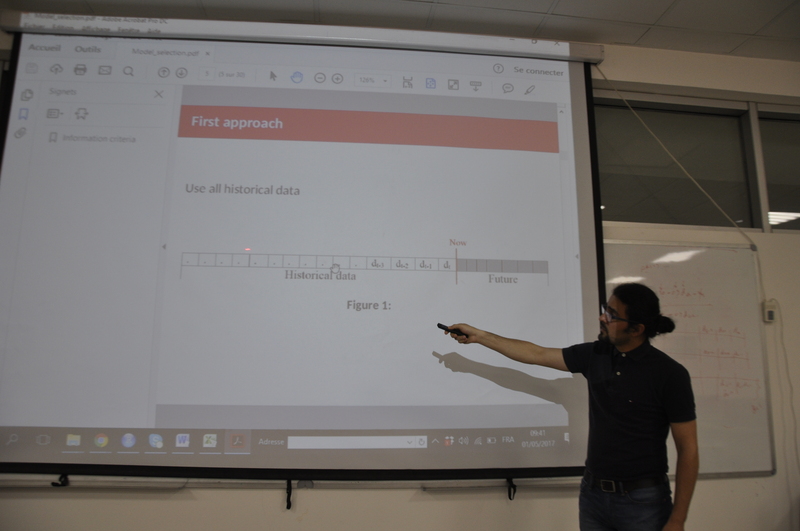 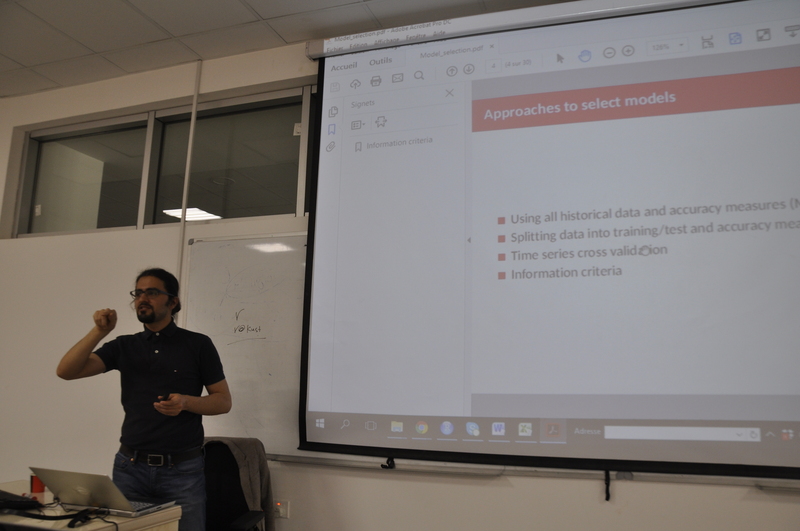 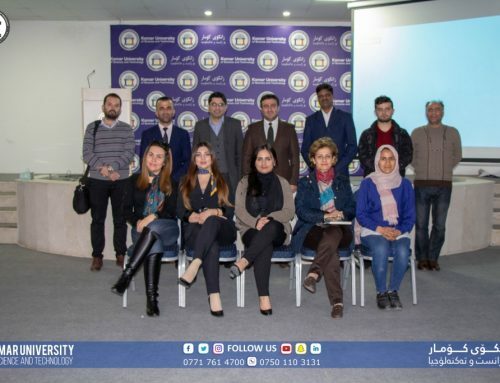 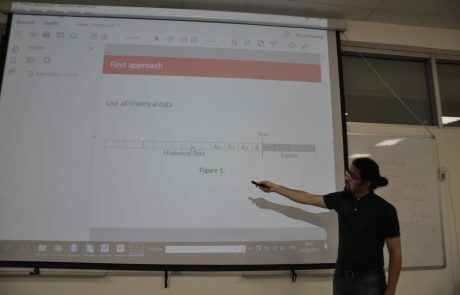 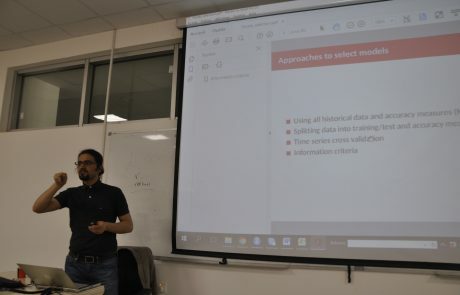 This workshop is part of the R Series Workshop organized and taught by Komar Research Center, the first workshop was to introduce R with the higher education faculty member under the title of “Statistical Analysis Using R“. 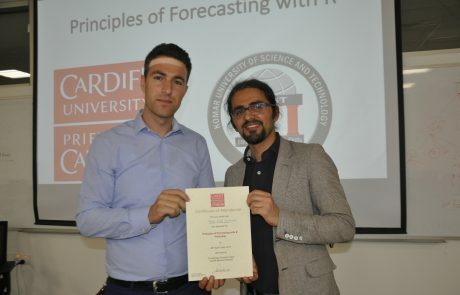 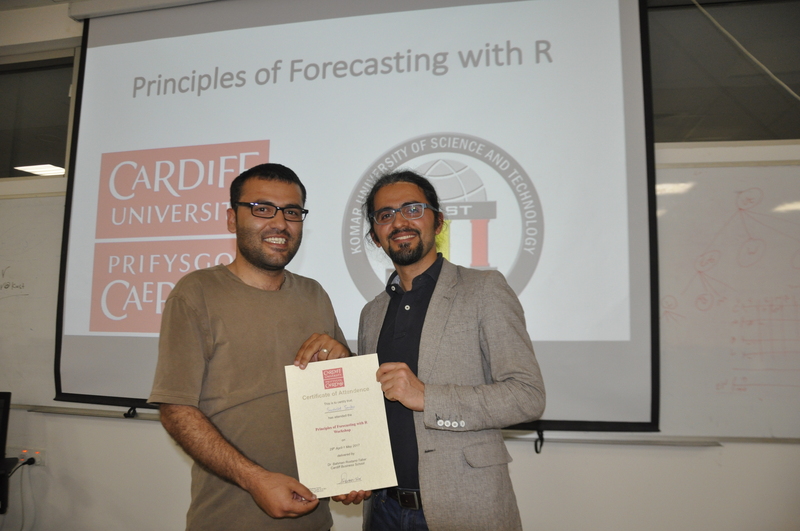 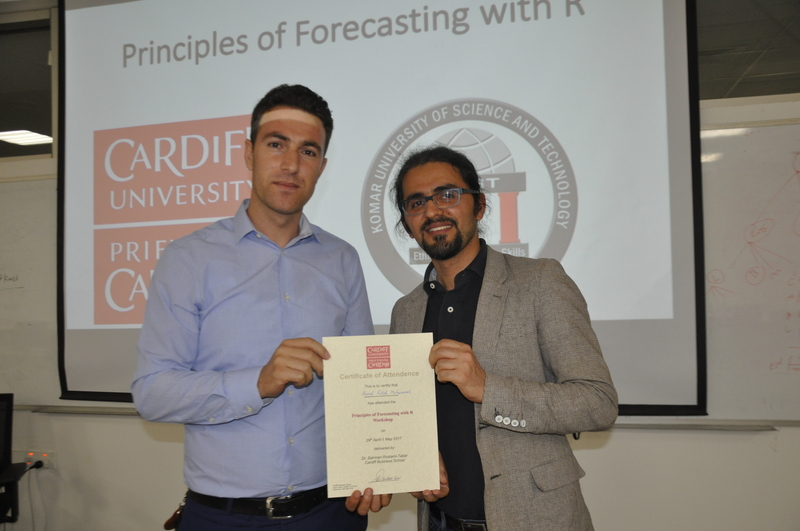 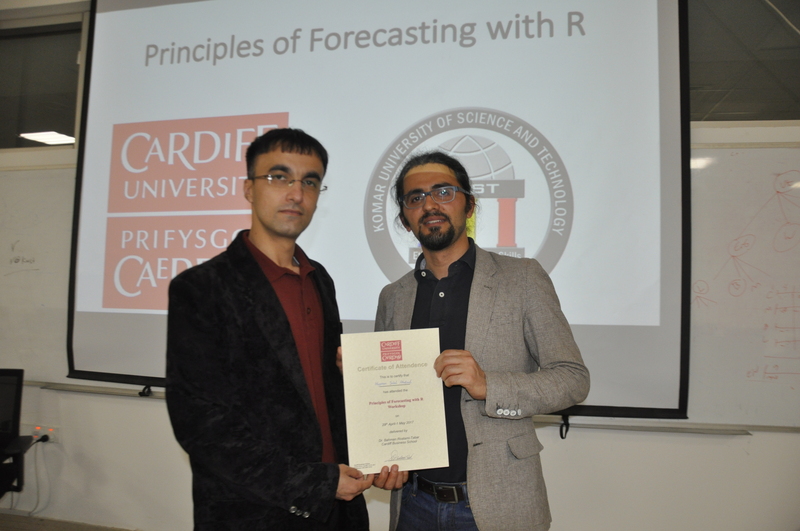 The aim of the workshop was to ‘train the trainers’ in the form of university students, academics and professionals on the principles of forecasting using R software to support decision-making. 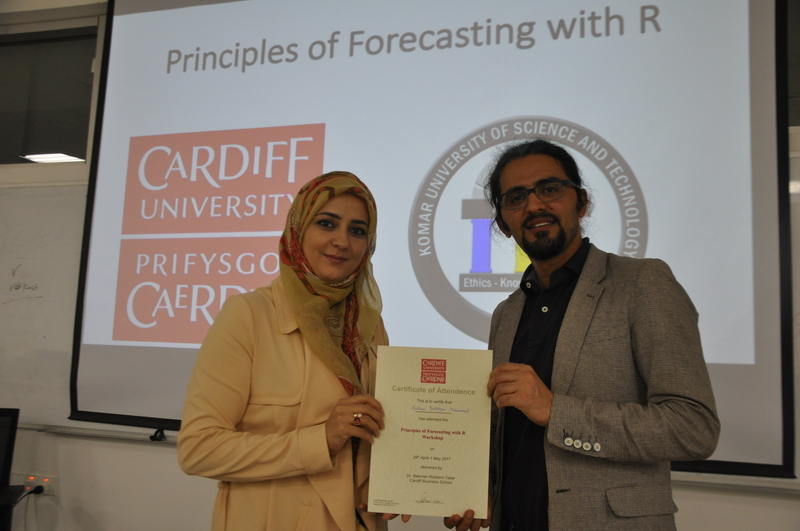 This workshop covered a wide range of forecasting methods often applied in organizations to help decision makers take a better decision by having an estimation of the future. 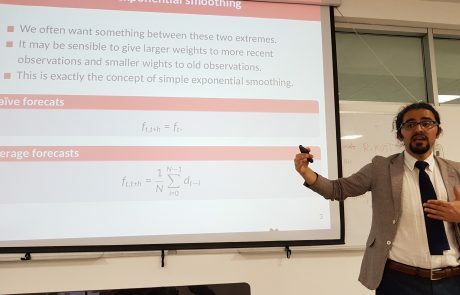 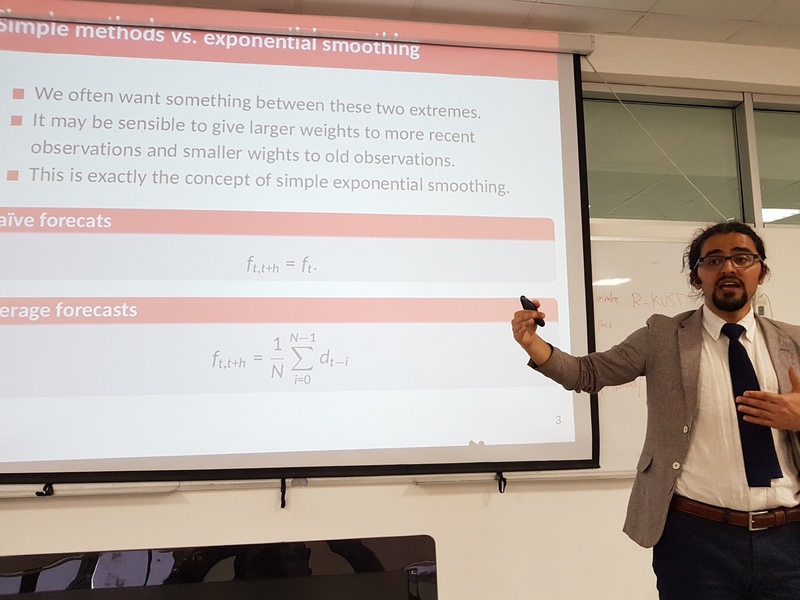 It also explained the theoretical background behind them, reveals their strengths and limitations and apply them to produce forecasts using R statistical software as a forecasting tool. 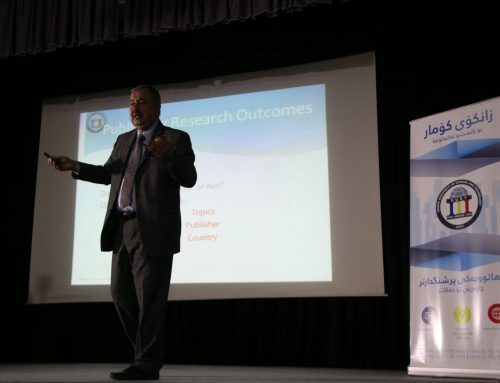 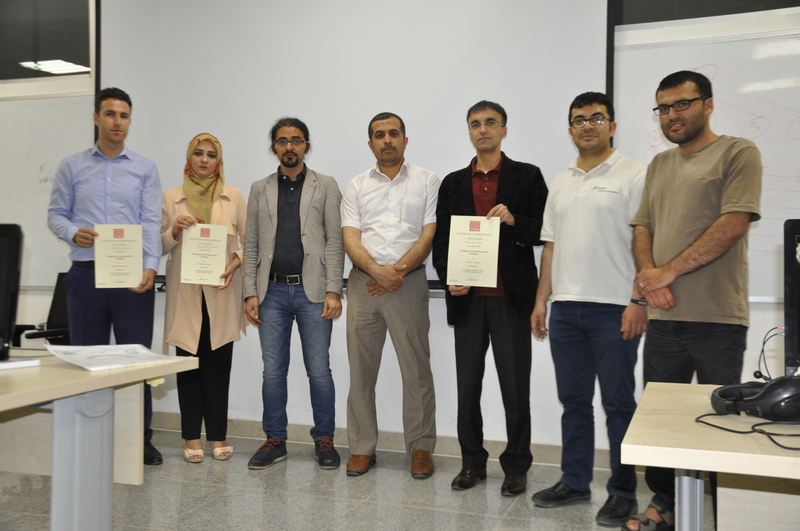 The participants benefited greatly from the workshop. 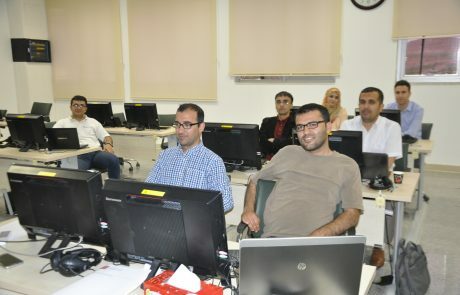 The workshop training equipped the participants with skills and understanding the importance of forecasting and its relation to decision making in public organizations, private sector, governments, not-for-profit organizations, etc, data preparation, exploration and visualization using R, theoretical background behind forecasting models, using R and R function, and how to analyze data, produce forecasts and evaluate their accuracy across a range of statistical forecasting models using real-world data. 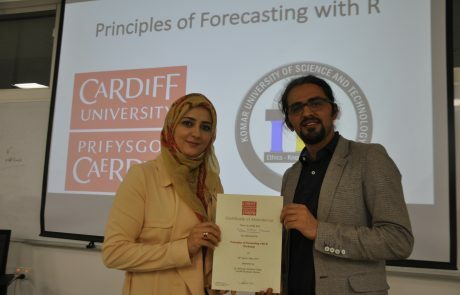 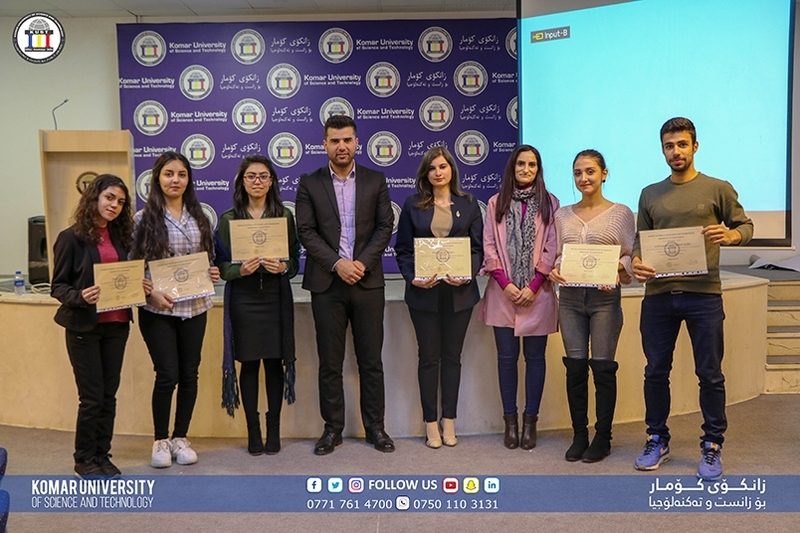 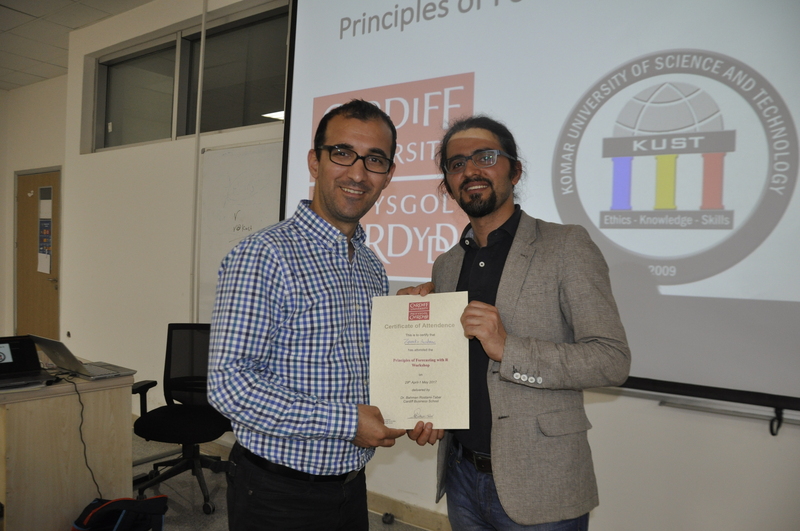 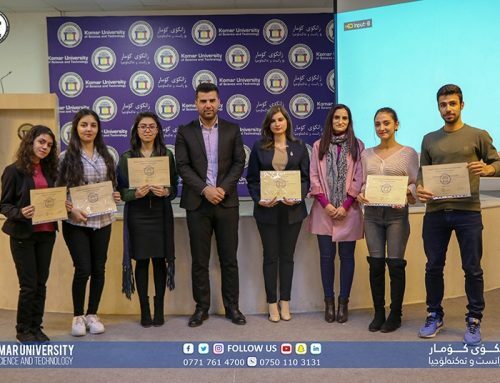 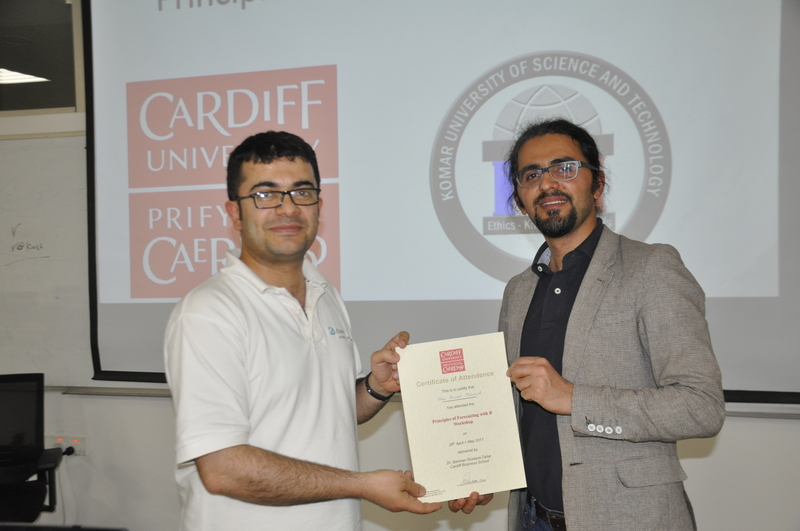 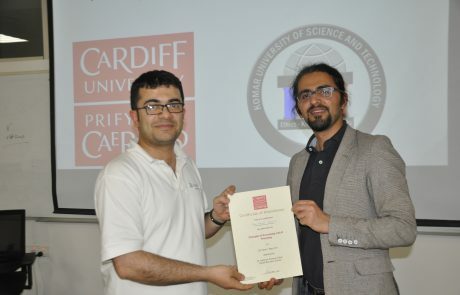 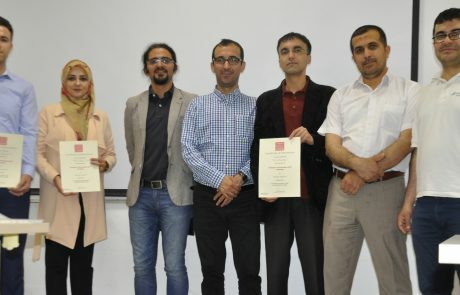 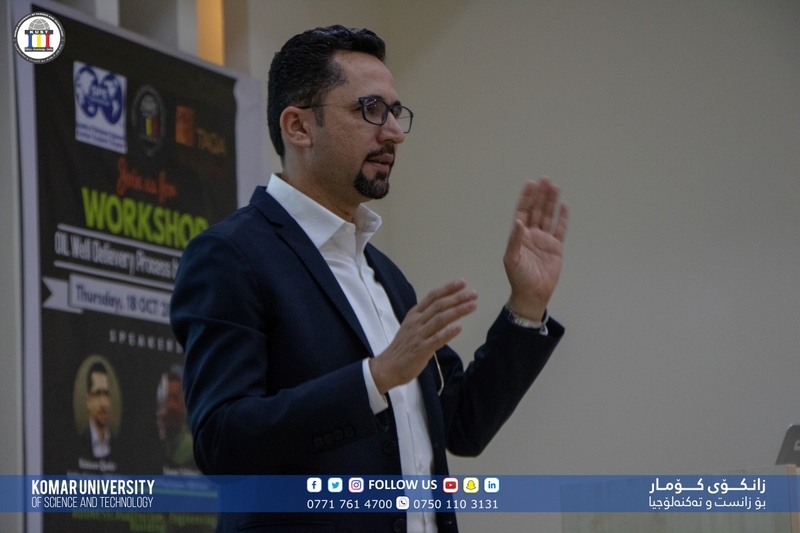 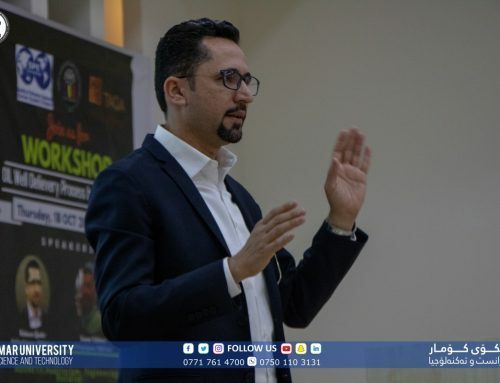 The workshop materials were covered in three days (a total of 27 hours), and participants were awarded the certificate of attendance from Cardiff Business School, Cardiff University by the workshop instructor. 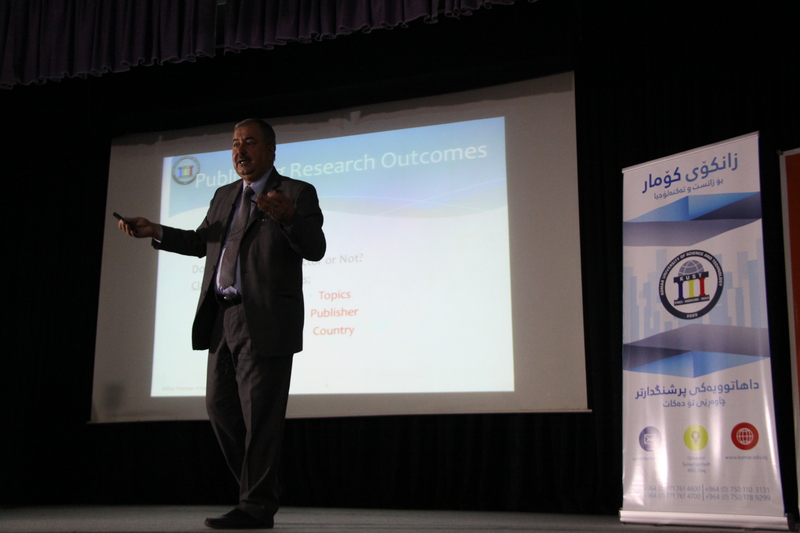 More details on the workshop announcement and program can be found HERE.